Union Printed, "Wide One" Certified USA Made Clicker Ballpoint full color Pen, Smooth barrels with attractive designed colored trims. w/ colored Rubber Grip, large Print Area,. A perfect give-away low cost promotion, never a need to shop for close outs. 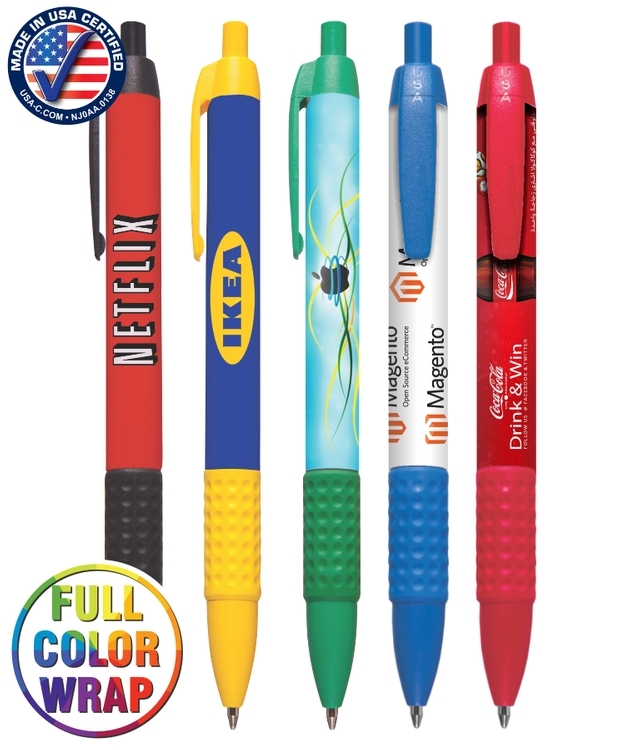 Decorated with a Full Color Wrap Print, Design the entire barrel of the pen with your Artwork! Decorated in our Union Shop - Union Bug Available at No Charge! • Imprint Area: Wrap! 3" x 1.875"